Laura Ritland’s poems have appeared in places like The Maynard, The Hart House Review, CV2, The Malahat Review, Arc Poetry Magazine, and Maisonneuve. She is the recipient of the 2014 Malahat Review’s Far Horizons Award for Poetry, a graduate of the Masters in Creative Writing program at the University of Toronto, and a current interviews editor for Canadian Women in the Literary Arts. She lives in Vancouver, BC. 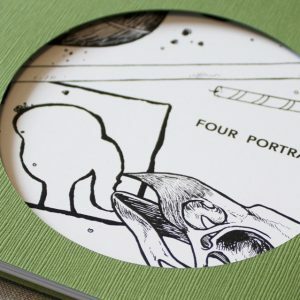 View cart “Four Portraits” has been added to your cart. Your message has been sent. We will be in touch shortly!